The Alliance for the Chesapeake Bay, in partnership with the District of Columbia Department of Energy & Environment (DOEE), is offering rebates to qualifying District homeowners, business owners, and houses of worship who remove impervious surfaces and replace the areas with vegetation or permeable pavers. An impervious surface is a ground area where water cannot soak through, such as paved driveways, patios, and parking lots. 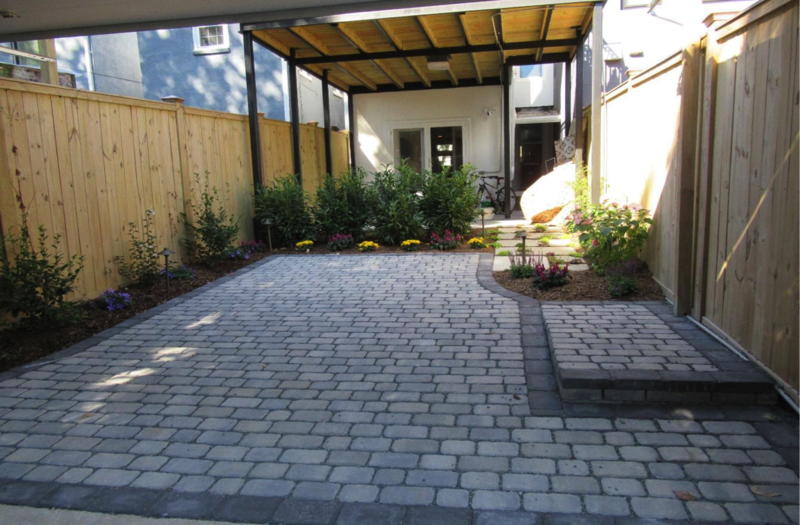 Permeable pavers are materials constructed and used with the purpose of allowing water to soak into the ground while still being used as driveways, patios, parking lots, etc. Permeable Surface Rebate program offers rebates based on the square footage of impervious surface removed and replaced with pervious surface. $5.00 per s.f. of project area minimum project area is 200 s.f. $10.00 per s.f. of project area minimum project area is 100 s.f. Depending on your location in the District there can be a rebate maximum. For properties in the Combined Sewage Overflow (CSO) portion of the District there is a rebate maximum of $12,000, however properties located in the Municipal Separate Storm Sewer System (MS4) area do not have a rebate maximum. Click here to determine which Storm Sewer System caters to your property. Water cannot pass through impervious surfaces and soak into the soil below. When it rains, water flows over these hard surfaces collecting soil, litter, salt, pesticides, oil, fertilizers, and other pollutants, creating stormwater. This stormwater drains into manmade drainage systems consisting of inlets and underground pipes commonly referred to as “storm sewers”. The majority of stormwater entering storm sewers does not receive any treatment before it enters the Potomac and Anacostia Rivers and Rock Creek, and ultimately, the Chesapeake Bay. Projects submitted retroactively may still be eligible for a RiverSmart Permeable Surface Rebate. Please follow the above rebate process as it pertains to your project. You may choose to remove impervious areas yourself, or hire a contractor not included in our approved Contractor List. Please note that any contractor is eligible to remove impermeable surface through this program, but only those with the PICP Record of Completion are eligible to install permeable pavers.